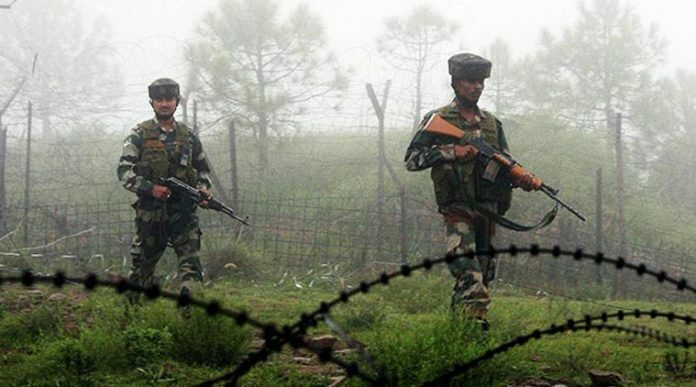 Heavy firing took place on Monday between Indian and Pakistani troops on the Line of Control (LoC) in Jammu and Kashmir’s Akhnoor sector, a defence official said. “At about 3 a.m. today, the Pakistan Army resorted to unprovoked ceasefire violation by shelling and firing in the Akhnoor sector,” Defence Ministry spokesman Lieutenant Colonel Devender Anand said. “Our positions effectively retaliated. The firing exchanges stopped at 6.30 a.m.,” he added. After trading heavy fire on the LoC in Poonch, Rajouri and Jammu districts for seven days, clashes between the two armies had stopped on Sunday. All educational institutions within a 5 km distance from the LoC in Poonch and Rajouri remained closed on Monday.